Many digitized collections were added to ExploreUK recently. Check out the list below! The Eugene Erwin and William Russell papers (dated 1824-1868, undated; 0.23 cubic feet; 1 box) primarily consist of letters written by, to, or about Eugene Erwin and William Russell regarding various topics including family news, California, Henry Clay, and the Civil War. The Lizzie Hardin diary (dated 1850-1860; 0.1 cubic feet; 1 reel) consists of a microfilm copy of a diary kept by Lizzie Hardin of Harrodsburg, Ky. during the Civil War. Though she began the diary in Virginia, it was written primarily during the time she lived in Harrodsburg. In the diary she describes a raid near Harrodsburg by John Hunt Morgan in 1862 as well as other war-related incidents. At the top of many pages are portraits of soldiers that have been cut out of another source and pasted in the diary. 14 drawings by Ernst Johnson, done as part of his architecture studies at Yale University, 1929-1935. The Harlin family letters (dated 1863-1881; 0.01 cubic feet; 4 items) consists of four letters written by members of the Harlin family concerning the Civil War in Kentucky and Tennessee as well as experiences in California. The Thomas Kubeck Vietnam War photographs (dated 1968-1970, 0.03 cubic feet; 54 items) comprises digital images of photographs taken by Thomas Kubeck during his military service during the Vietnam War from 1969-1970. Newsletters produced by the Lexington, Kentucky based Pride Community Services Organization. Included are publications from the organization through multiple name changes, such as LinQ magazine (July 2013-2016); the GLSO (Gay and Lesbian Services Organization) News (August 1986-June 2013); the GSO (Gay Services Organization) newsletter (1979-July 1986). The Henry Clay papers (dated 1801-1843; 0.22 cubic feet; 1 boxes) comprise letters, a court report, and a print of Henry Clay. The bulk of the papers consist of letters from Henry Clay to Francis Taliaferro Brooke, a prominent political figure and Virginia Supreme Court judge from Fredericksburg, Virginia. 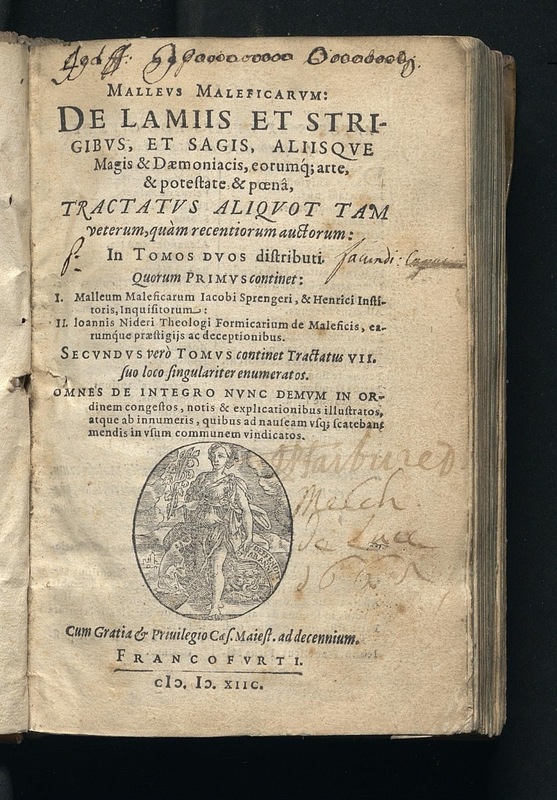 The Malleus Maleficarum, usually translated as the Hammer of Witches, is the best known and the most important treatise on witchcraft. 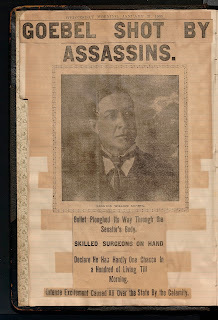 The Bruce Ferguson scrapbook (dated 1900-1902; 0.1 cubic feet; 1 reel) was assembled by William Behringer and contains newspaper clippings about the assassination of William Goebel and subsequent political events. The clippings were mostly pulled from the Cincinnati Enquirer and Cincinnati Post and were pro-Goebel. 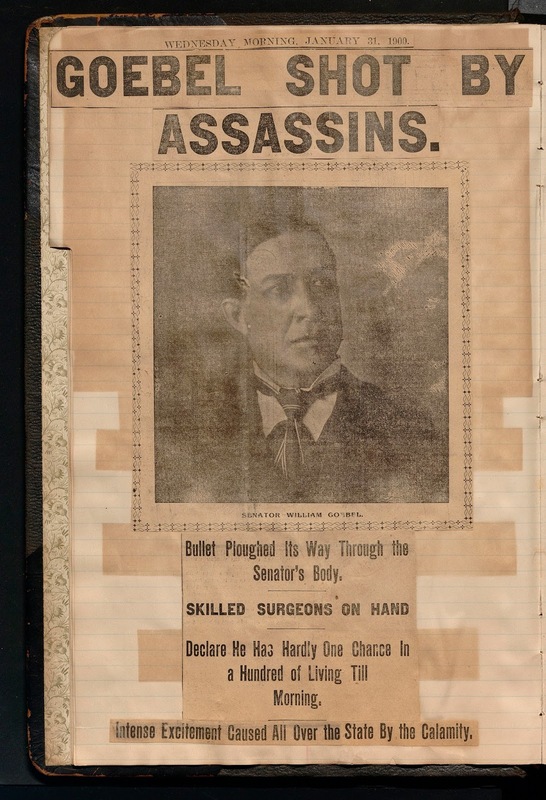 The scrapbook also contains clippings about a Frankfort duel between Ethelbert Scott and Colonel D. G. Colson which left three dead, including Scott, and four wounded. 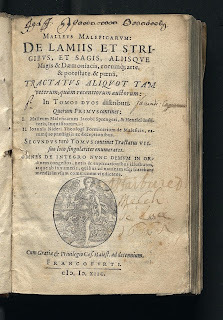 The volume concludes with a number of engravings taken from a German language newspaper. 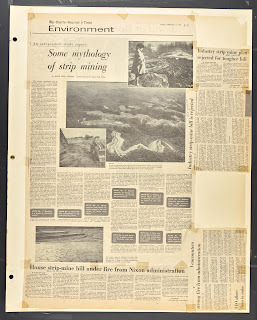 The William Hayes coal mining scrapbooks (dated 1967-1997, 1.35 cubic feet, 2 boxes) consists of two scrapbooks of newspaper clippings created by William Hayes, a reclamation inspector, about coal mining in Kentucky. The Goebel family papers (dated 1865-1942; 0.1 cubic feet; 2 reels) consist of a microfilm copy of William Goebel's letters to his brothers, Arthur and Justus. The Percy Haly scrapbook (dated 1900-1937; 0.1 cubic feet; 1 reel) consists of a microfilm copy of the scrapbook, which contains newspaper clippings, photographs and other materials about Haly, his career, and his family. A collection of brochures (1975-2015) for the Naff Symposium, an event hosted by the University of Kentucky Chemistry Department supported by the Anna S. Naff Endowment Fund. This brochures are part of the University of Kentucky Department of Chemistry records. 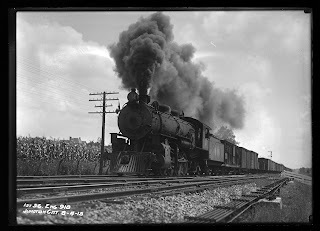 The Louis Edward Nollau Railroad Glass Negative Collection, ca. 1909-1917 consists of 2963 4x5 commercial dry glass negatives. 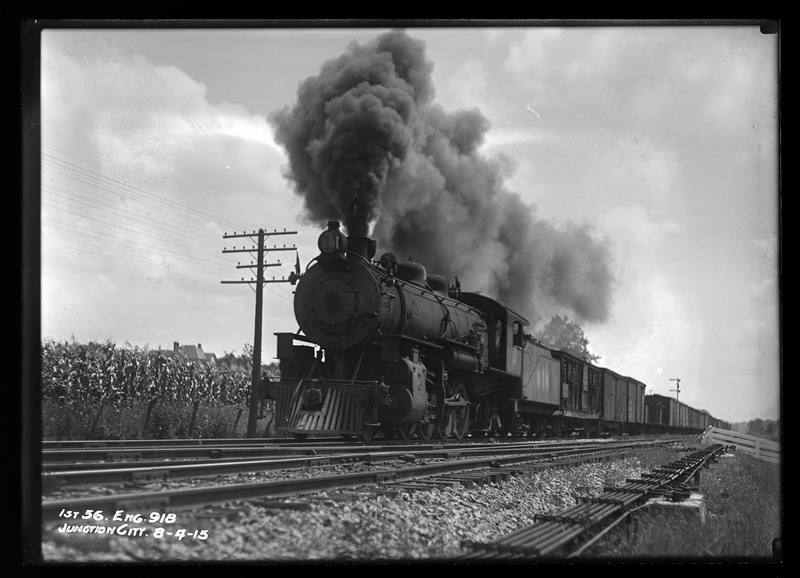 The collection is a through documentation of the Southern Railway system in the early years of the 20th century. Major areas of focus include: rolling stock, right of ways, the re-construction of High Bridge, inspection trips, railroad personnel, railroad stations, towers, water tanks, storerooms, and workshops. The University of Kentucky Chemistry Department records (dated 1906-2014, bulk dates 1962-2014; 6.11 cubic feet; 4 record storage cartons, 4 document boxes, 1 slim document box, and 1 flat box) comprise reports, reviews, self-studies, photographs, brochures, name plates, and a scrapbook that document the faculty, students, and activities of the University of Kentucky Department of Chemistry during the mid-20th century to early 21st century. Martha Bevins letters to Tom McCarthy (dated 1955-1962; 0.05 cubic feet; 55 items) consist of letters Bevins wrote to radio host Tom McCarthy, which he read aloud on his morning radio program broadcast from his farm in Ohio. The Julian M. Carroll audiotape speeches (1976-1978, 0.18 cubic feet; 1 box) consists of audiocassettes of political and public event speeches given while Carroll was the Lieutenant Governor and Governor of Kentucky. Another round of collection guides! What does feminism, horse racing, veterans affairs, folk art, and the Lexington Philharmonic Orchestra have in common? Well, they are all topics documented in the newest batch of collection guides that have been added to ExploreUK. Check out the full list below. P.S. We’ll be announcing newly digitized content next week. The Leslie Clark films (dated 1946-1949; 0.2 cubic feet; 3 reels, 1 digital file) consists of three rolls of 8mm color and black and white silent moving image film, documenting life on the University of Kentucky campus and in the city of Lexington, Kentucky. The National Society of Arts and Letters records (dated 1949-2011, undated; 4.35 cubic feet; 4 record cartons, 1 document box) comprise conference and competition programs for the annual NSAL meeting, award fund financial reports, administrative manuals for regional chapters, and national membership directories and newsletters that document the Society's mission to support students of the performing, literary, and visual arts. The John Alexander Joyce papers (dated 1900, undated; 0.23 cubic feet; 1 box) comprise a collection of poetry, a handwritten poem, a sketch book, and two photographs that document John Alexander Joyce, Civil War poetry, and the Civil War in Kentucky. The Collins family papers (1781-1968, 1.68 cubic feet, 5 boxes) primarily include Lewis Collins' financial documents and correspondence. 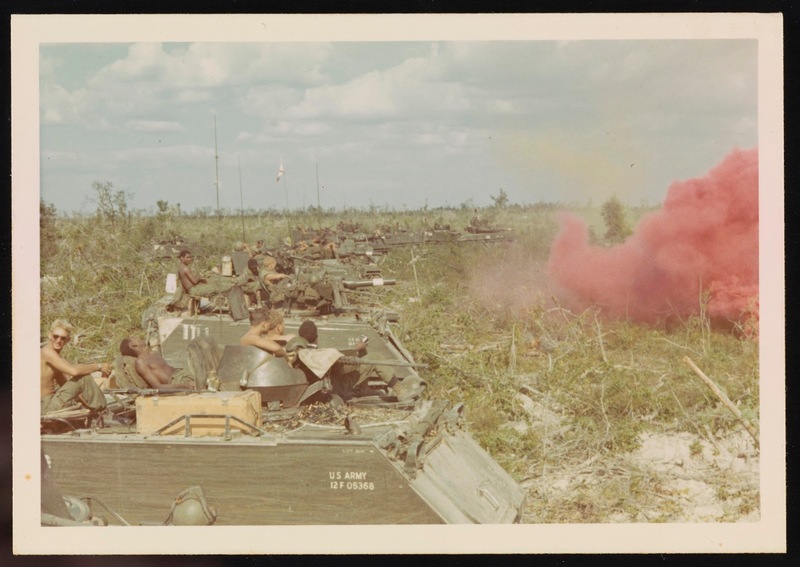 The collection also includes documents such as leases, wills, ledger sheets, genealogy notes, newspaper clippings, and obituaries of other Collins family members. The James W. Holsinger, Jr. papers (dated 1928-1994, undated; 15 cubic feet; 15 boxes) primarily comprises reports, transcripts of congressional hearings, program updates, organizational resources, and office publications that document the operations of the US Department of Veterans Affairs from 1978-1994. The Headley, Garr, Bassett, Lee papers (1810-2004, undated; 2.01 cubic feet; 18 boxes, 3 items) consists of diaries, correspondence, ephemera, and photographs that document members of the Headley, Garr, Bassett, Lee, and Pettit families of Lexington and Central Kentucky. The John Bell Jones papers (dated 1880s-2017, bulk 1924-1946; 1.27 cubic feet; 4 boxes and 1 flat box) primarily comprise J.B. Jones' school work in; agriculture at the University of Kentucky, 1935-1939, Future Farmers of American-related items during the time he taught in high school, and biographical/genealogical information about Jones and his family. The Kentucky Fair and Horse Show Programs Collection, 64114 (dated 1899-1968; 1.13 cubic feet; 3 boxes) contain programs from fairs and horse shows throughout the state of Kentucky. The William H. P. Robertson manuscript (dated 1964; 0.8 cubic feet; 2 boxes) consists of an edited, unbound typescript draft of The History of Thoroughbred Racing in America. The Boone County historical records (dated 1766-1963; 0.45 cubic feet; 1 box) primarily contains booklets and typescripts concerning the early history and early residents of Boone County, Kentucky. The Shackelford Genealogy Collection (dated 1945-1957; 0.23 cubic feet; 1 box) primarily consists of copies of the Shackelford Clan Magazine. The magazine is an extensive tracing of the family from 1658 until 1957. The Barkley Statue Advisory Committee records (dated 1960-1965, undated; 0.63 cubic feet; 2 boxes) contain correspondence, programs, audiotapes, photographs, and a marble sample documenting the commission of a statue to memorialize former Vice President Alben William Barkley, a native of Kentucky. The Joe Downing exhibition records (dated 1957-1964, undated; 0.45 cubic feet; 1 box) contains correspondence, photographs, pamphlets, invitations, and a broadside relating to a showing of Downing's artwork at Kentucky State College in 1964. Burton Milward Lexington Leader editorial scrapbooks (dated 1946-1966; 2.1 cubic feet; 6 boxes) consists of scrapbooks containing newspaper editorials written by Burton Milward from 1946 until 1966. 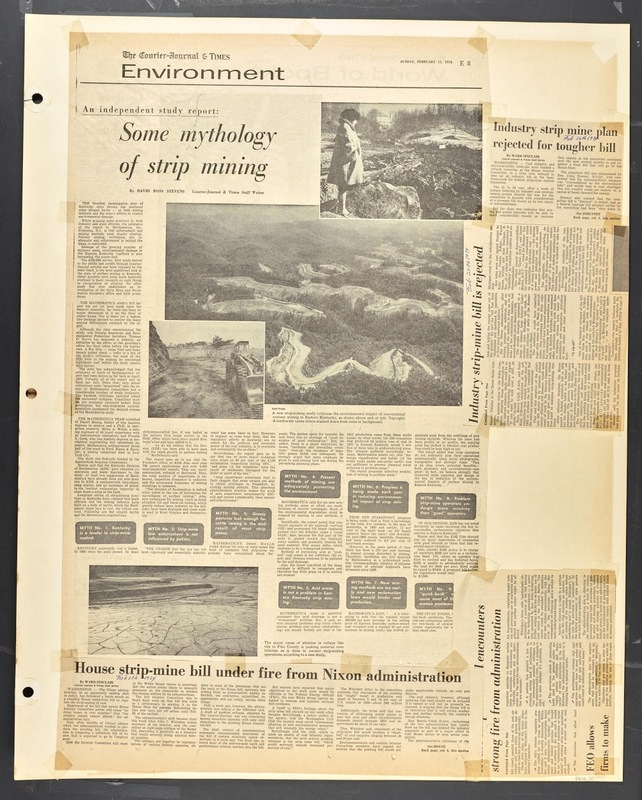 The Kentucky women's and feminist collection (dated 1970-1988, undated; 0.9 cubic feet; 2 document boxes) primarily comprises fliers, clippings, newsletters, and reports that document women's issues and feminist organizations in Kentucky in the 1970s and 1980s. The Lexington lesbian and gay community collection (dated 1988-1997, undated; 1.01 cubic feet; 1 document box, 2 poster boxes) primarily comprises gay rights advocacy brochures, fliers, and posters by student and community organizations that reflect aspects of lesbian and gay life in Lexington, Kentucky during the late 1980s and the 1990s. The Charles William Headley diaries (dated 1861-1918; 2 cubic feet; 2 boxes) primarily consist of 17 diaries, which document the life of horse breeder Charles William Headley and the operation of his farm, Allandale, near Harrodsburg, Kentucky. The Aaron Burr letter to Rev. John Gano (dated 1793-1802, undated; 0.1 cubic feet; 1 folder) consists of a one page letter from Burr to Gano, a small lithographic portrait of Burr in 1802 when he was Vice President of the United States, and a typescript of the letter. The Michael Bernard Gratz horse and cattle pedigree book (dated 1838-1937; 0.1 cubic feet; 1 folder) contains entries of horses and cattle owned or bred by Michael Bernard Gratz at Canewood, his farm near Spring Station in Woodford County, Kentucky. The Henry Clay plant mining ledger (dated 1946-1947; 0.88 cubic feet; 1 item) consists of one 792-page ledger documenting the operation of the Henry Clay coal mine in Pike County, Kentucky. The Joseph L. Massie papers (dated 1907-1996, undated; 0.9 cubic feet; 2 boxes) consist of poetry, monograph research notes, newspaper clippings, and a notebook that document the writings of James L. Massie and William K. Massie. The Lucy Dupuy Craig Woolfolk diaries (dated 1863-1864; 0.1 cubic feet; 3 folders) consists of two diaries documenting the daily activities and observations of Woolfolk, a resident of Woodford county, Kentucky. The collection includes a typed transcript of the diary entries. Since the diaries have torn pages and loose boards and need to be handled carefully, researchers may be advised to consult the transcripts. The Dr. David William Barnett diary (dated 1851-1857; 0.02 cubic feet; 1 folder) records Barnett's personal and local events in the area of Germantown, Kentucky, during the 1850s. The James Taylor papers (dated 1811-1812; 0.1 cubic feet; 1 folder) includes receipts for military deserters during the War of 1812 in Kentucky. These rewards were signed several times by Colonel James Taylor, the paymaster of the Northwestern Navy Barracks. The Lexington Central Woman's Christian Temperance Union ledger (dated 1928-1932; 0.3 cubic feet; 1 folder) include the reports of the local Lexington chapter of the larger, national organization. The Ernest C. Doll Air Force diary (dated 1947-1950; 0.1 cubic foot; 1 folder) describes the career of Sergeant Doll from the time of his discharge from the US Naval Reserves to his career in the US Air Force. The Marketing Appalachia's Traditional Community Handcrafts (MATCH) records (dated 1900-1987, bulk 1970-1987; 63.3 cubic feet; 74 boxes, 2 case folders) comprises administrative, financial, grants and loans, projects, and reports documenting the activities of MATCH and its efforts to promote development in the region through crafts and folk art. The Ambrose Seaton family papers (dated 1787-1946, undated; 0.9 cubic feet; 2 boxes) consists of legal and financial documents, business materials, correspondence, newspaper clippings, and two daguerreotypes that document the Seaton family in Amherst, New Hampshire, and across the state of Kentucky from the late eighteenth to the mid twentieth century. The F. J. Floyd Jr. photographs (dated 1931; 0.1 cubic feet, 10 items) consists of three scrapbook pages containing eight black and white photographs of the construction of the Lucy Jefferson Lewis Memorial Bridge in Smithland, Kentucky taken in 1931 by F. J. Lloyd, Jr., the engineer in charge of construction. The Emanuel G. Weiss papers (dated 1944-1970; 1.2 cubic feet; 2 boxes) comprise memoranda, correspondence, notes, draft opinions, printed opinions, bound volumes, and photographs that document Weiss's duties as a law clerk for Stanley Forman Reed, Associate Justice on the Supreme Court of the United States, during the October 1945 term.